Pioneers are our youngest campers in the Cody family, and for most, it’s their first time at summer camp! To provide our “Pios” with the attention that first-time campers need, our counselor-to-camper ratio is higher than in the other divisions. Our youngest campers are also under the watchful eyes of our caring Camp Moms. Camp Moms are attentive to each child’s needs and help to maintain hygiene, clean clothes, keep teeth brushed, hair shampoo’d, sunscreen applied and kids hydrated. For most Pioneers, it’s their first time at camp and away from their parents. While it may feel to you as though they’re on their own, they are anything but that! Campers share cabins with their peers and attentive counselors. They are never alone and are always surrounded by a caring group of people who feel just like family. Pioneers enjoy certain activities in their schedules such as swimming and Wibit, and we work hard to balance high-energy activities with ample rest and relaxation. Within this structure, they also have the freedom to choose two activities of their interest each day. Pioneers also have the opportunity to explore the Northeast region by traveling off-campus and participating in age-appropriate adventures and trips, from sliding down the twists and turns of New England’s best waterparks to group hikes in the White Mountain National Forest. The character “focus areas” of the Pioneers are friendship and courage. 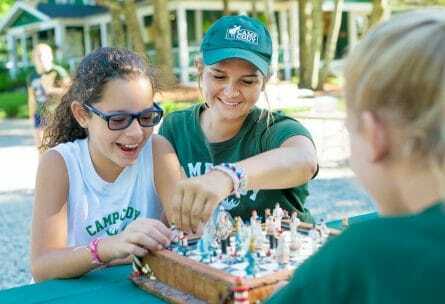 It takes a lot of bravery to be a first-time camper — you spend time away from home, meet new people and try new activities — which is why friendship is also at the forefront of the Pioneer experience. Our littlest campers arrive at Cody often knowing no one (except maybe a friend or sibling), so they work extra hard to talk to other campers, develop friendships and create lasting bonds. Pioneers exude this friendliness to our other divisions, inspiring kindness across our campus.